The most common foot injuries suffered in the workplace are crushed and broken bones, loss of toes, puncture wounds, sprains and fractures. On average injuries to the foot take longer to heal than many other common injuries. It is estimated that worldwide 25% of all disability claims are due to injuries of the foot. With the safety of employees in mind more and more countries are introducing mandatory safety footwear regulations to guarantee protection in the workplace. Steel toed safety boots and shoes are designed to protect the top of the feet. Safety boots and shoes are also been fitted with impact protection also. There are impact absorbing soles and ankle collars fitted to some safety footwear for additional support. We were recently asked by a manufacturer of safety shoes to recommend an impact system that would allow them to test their products in accordance to ASTM F2412 and ANSI Z41 – specifically impact resistance of the toe area. 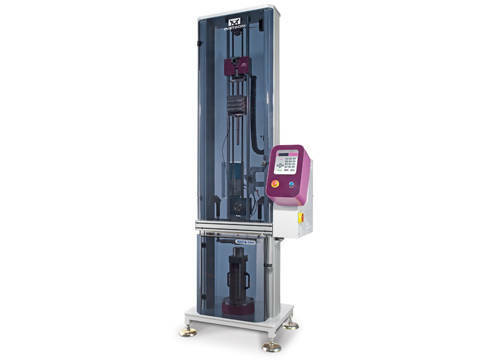 Either the CEAST Model 9340 or the CEAST Model 9350 Impact Test Machines is capable of performing the tests. A fixture to secure and support the toe section of safety shoes, and tup insert were designed in accordance to the standard. Prior to impacting the specimen a 25.4mm (1 in) diameter vertical cylinder of modeling clay is to be placed in location as defined in the standard. After impact this cylinder is carefully removed, it’s height measured at the lowest point and that value recorded. This is reported as the toe clearance for the product. With the addition of an instrumented tup, CEAST VisualIMPACT software, DAS 64 Data Acquisition and Analysis System, they will be able to gather more information such as energy absorbed from each of the tests performed. The CEAST 9340 or the 9350 are well suited for helping customers determine the performance characteristics of their materials when subjected to an impact event. 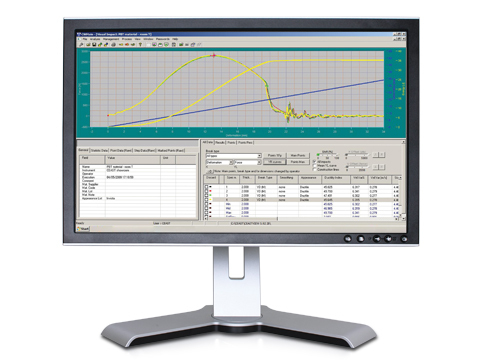 The information gathered by doing instrumented impact testing can be used to provide the customer with a data baseline whereby they can determine how changes made in the mix of materials will perform in real life situations. 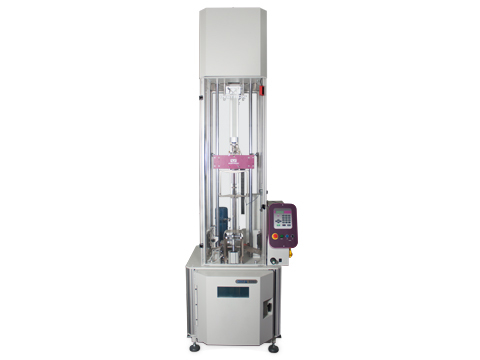 A broader range of testing could be accomplished with the use of an environmental chamber to study impact characteristics at different temperatures as well as using different fixtures and inserts to simulate other impact events.